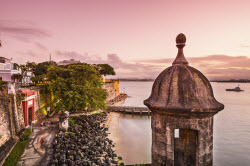 In 2012, Puerto Rico passed incentives for individuals who ­relocate to Puerto Rico, including a 100% exclusion from Puerto Rico tax on certain capital gains for new bona fide residents. In ­addition, other laws passed in 2012 provide low maximum tax rates for new export services businesses and for new banking and financial services. Most income from Puerto Rico sources received by individuals who are bona fide residents of Puerto Rico for the entire tax year is not included in U.S. gross income and is exempt from U.S. federal taxation. An individual will qualify as a bona fide resident of Puerto Rico if he or she meets three tests: the presence test, the tax home test, and the closer-connection test. Under special rules, an individual who relocates to Puerto Rico during the year and does not meet the three tests will still be considered a resident for the entire year if certain requirements are met. The income from trading in securities and commodities in the United States by bona fide residents of Puerto Rico will not be treated as not effectively connected with the United States if certain safe-harbor rules are met. Boris Popov LLC is a boutique CPA practice that provides audit, tax and financial reporting services to some of the most innovative, creative and emerging companies in trading, investments, tech, on-line services, and biotech industries.